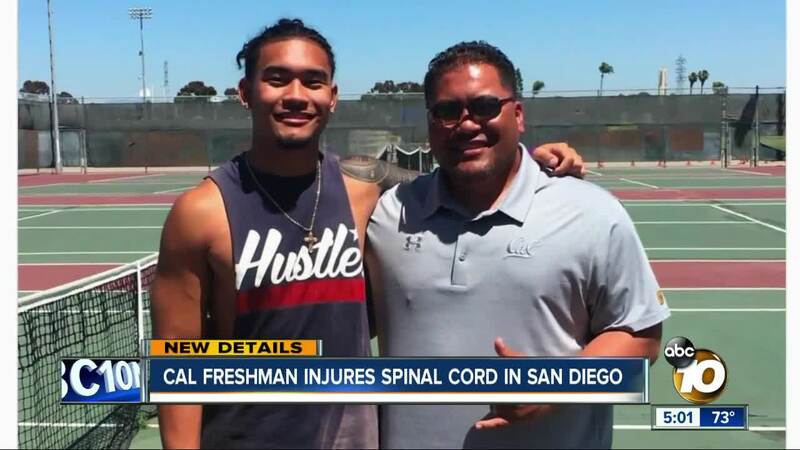 SAN DIEGO (KGTV) - Chris Fatilua, a graduate of Madison High School in Clairemont who was set to join the Cal football program this fall, suffered a serious spinal cord injury while in San Diego. 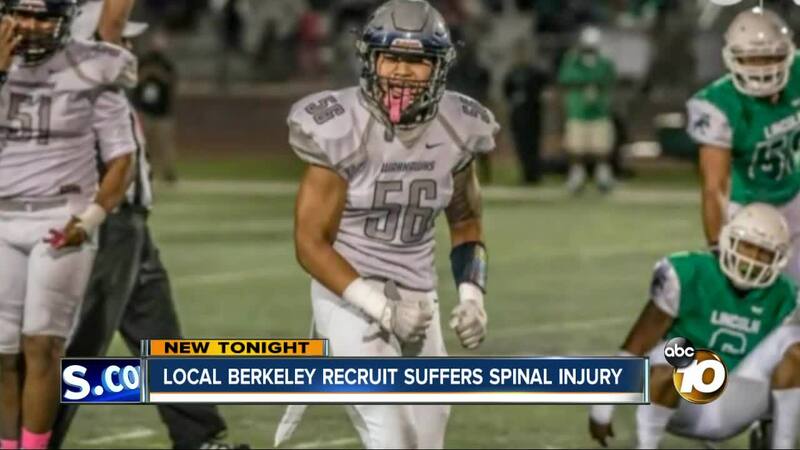 Through the University of California, Berkeley, Fatilua's family released a statement that confirmed he suffered the injury on Monday afternoon. Details on how and where in San Diego Fatilua was injured were not immediately released. According to high school sports website MaxPreps, the 6’2”, 220-pound linebacker just graduated from Madison High School. He was the 51st-ranked linebacker in California, MaxPreps reported. Fatilua was the recipient last month of the Junior Seau Inspiration award from the Heart of Champions ministry. Seau's uncle, Revrend Benson Mauga, still has the award because Fatilua was visiting Berkeley on the day it was awarded. Now Mauga hopes he can deliver the carved wood plaque to Fatilua's hospital room. Mauga called Fatilua an inspiration for the way the teen handled his mother's death from cancer two years ago. Instead of letting her death crush his spirit, Mauga said Fatilua kept moving forward with even more passion for football and his studies. Mauga predicted Fatilua will overcome his injury. "Some might be doubting him, but watch out," he said. Fatilua, 18, committed to the Golden Bears earlier this year and was expected to join the program in time for the fall semester.